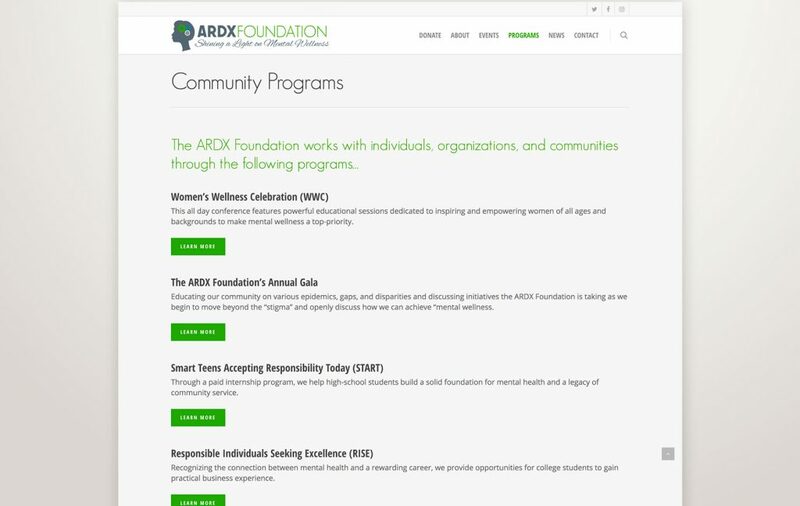 ARDX Foundation, a non-profit that shines a light on the importance of mental and behavioral wellness and to serve as advocates, partners, educators, mentors, and change agents. The goal for the design was to have the site seem unique to the company’s regular website (ardx.net) but still have a cohesive feel to it. 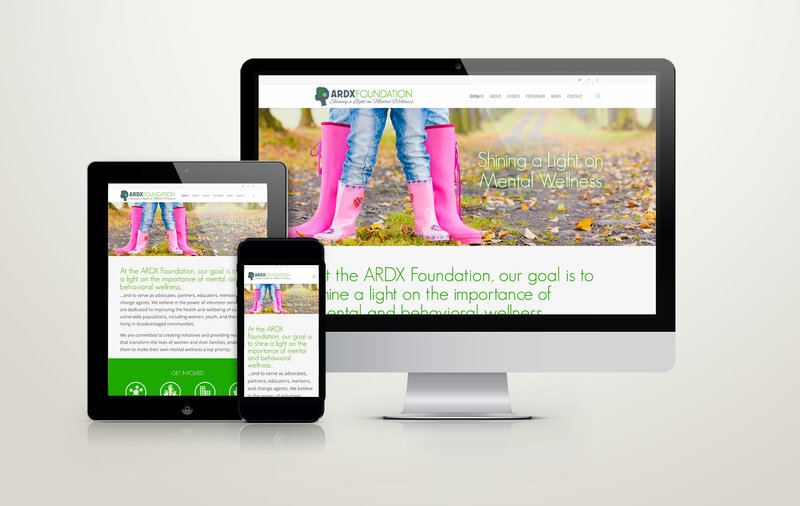 The client supplied the logo for the foundation so our goal was to also have it work well with the site’s overall design. 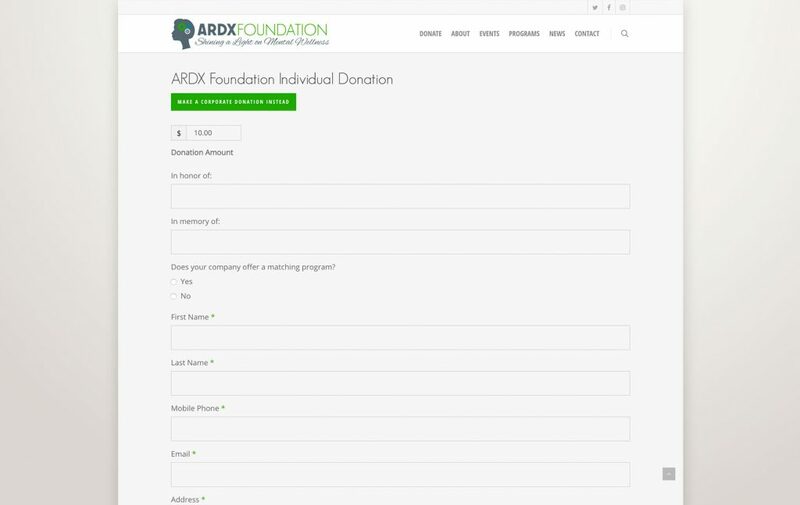 Included in the design is the ability to take donations online as well as by mail. To make the site accessible to mobile and tablet viewers with varying screen sizes, the site is built as a responsive design in WordPress.